Bharat Sanchar Nigam Ltd (BSNL) today announced the launch of 8Mbps and 16Mbps FTTH Unlimited Broadband plans for its customers in Noida and Ghaziabad areas starting from Rs.950. 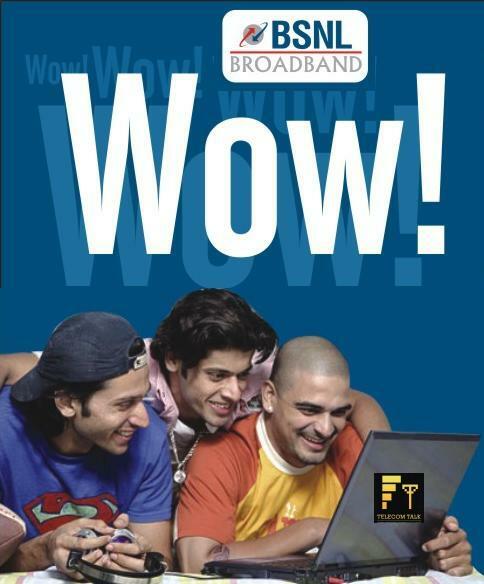 BSNL introduces four New FTTH Unlimited Broadband plans (with FUP on speed) at monthly rental of Rs 950, Rs.1299, Rs.1450 and Rs.1650. BSNL’s entry leval FTTH Unlimited Broadband plan Fibro ULD 950 CS7 offer 8 Mbps speed up to 15 GB and 512 kbps thereafter for unlimited data usage. Fibro Combo ULD 1299 CS8 which comes at monthly rental of Rs.1299 also offer 8Mbps speed up to 15GB and 512Kbps there after from Unlimited usage. With this plan BSNL offering 500 free calls (local and STD) to any network across India. The third and fourth plans – Fibro ULD 1450 CS9 and Fibro Combo ULD 1650 CS10 comes at monthly rental of Rs.1450 and Rs.1650 reflectivity, offers 16 Mbps speed up to 30 GB and 512 kbps speed thereafter for unlimited download and uploads. With Fibro Combo ULD 1650 CS10 customer will get 500 free local and STD calls credit for any network additionally. These plans will be available from 10th March, 2014 in Noida and Ghaziabad SSA. Hope BSNL brings these plans to Chennai soon. Eagerly waiting for this cool plans. Hi, I would like to take new connection for broadband but noone is answering my call. Kindly let me know if i get new connection in sector 135 noida.